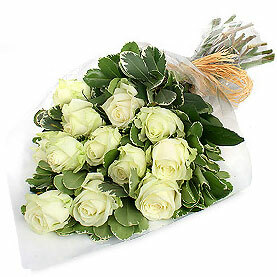 Give her the enchanting innocence of dozen snow white roses! The soft purity of these blooms will touch her heart ever so gently and let her know just how you feel. The roses are hand-selected to match perfectly and arranged with care.